So after I went to the Vichy event at the Rook & Raven I promised you that I would review the products that I picked up there. The main event was the Idealia Skin Sleep – this night treatment is said to repair and regenerate dull skin overnight. It’s been developed to recreate the restorative effects of sleep. I really felt as if I could use this. They say that the most restorative part of sleep happens between 12 midnight and 1am – but as I’m often still blogging or watching TV at that time I know that I miss out on the healing power of sleep. This gel balm is a cute baby pink that looks like icing and feels like – hmm not sure – maybe a cross between a cream and a gel? It contains hyaluronic acid to stimulate cell regeneration, LHA to stimulate desquamation (I’m pretty sure that means it helps to exfoliate), vitamin B3 to reinforce the barrier function of the skin; and caffeine to accelerate the skins microcirculation. Clinical trials have seen improvements in smoothness, luminosity, and a decrease in signs of fatigue. Testers felt their skin felt healthier, softer and more comfortable. So what did I think? When I applied the gel it felt so comforting, not heavy or over rich though and in the morning my skin feels really great, fresh and hydrated but I can’t actually see any difference. Maybe I need to use it for longer to see visible results but I’m really happy with how it makes my skin feel. It costs £26.50 here. 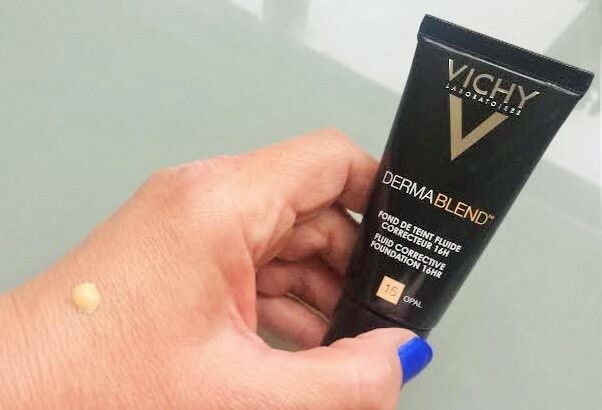 My next discovery was Vichy Dermablend Fluid Corrective Foundation. This high coverage foundation has been around for 30 years but now has a new look and 3 new shades. I was matched to Shade 15 Opal. As you can see it was a little light for me but I have to forgive the lady who matched me as I was way too hot to have a proper match completed and she matched it the inside of my wrist which is much less tanned than my face. Still the coverage was great and I warmed it up with some bronzer so I didn’t look too pale.It lasted really well too (they say up to 16 hours) and has SPF35 and hydrates for 24 hours. I did vaguely know that there was a Vichy make-up range but I hadn’t really seen it in stores/ As well as the foundation they have a corrective stick, corrective compact cream, total body corrective foundation and setting powder. The Vichy Dermablend Fluid Corrective Foundation costs £18.00 here. Then I elected to try two products from the Liftactiv range the Liftactiv Serum 10 and the Liftactiv Supreme. The serum comes with a dropper which seems to be the latest fad with serum but I have to say that I’d prefer a pump dispenser but that’s just my preference. The serum feels great going on to the skin with a comforting feel and absorbs quite quickly. I’d say that it leaves a glistening look on the skin but it’s not oily. I’ve been using it day and night with the Liftactiv Supreme in the day and the Idealia Skin Sleep at night. Overall results are really pleasing and indicative of the quality and efficiency of the Vichy brand. The Liftactiv Serum 10 is the product of 10 years of research and 7 patents and targets the superficial dermis of the skin, and stimulates the natural renewal of collagen fibres. It’s hypoallergenic and paraben-free. It costs £29.95 for the 30ml size here. Liftactiv Supreme is made to target signs of ageing and gives advanced smoothing and firming care. It’s a complete daily moisturiserthat tackles the immediate signs of fatigue and diminishes signs of ageing over the long term. It also uses 3D optical correction technology to transform the surface of the skin, created from blurring particles, mattifying powders and white micro-pearls to smooth and illuminate. It contains 5% concentration of rhamnose, for action on wrinkles and loss of firmness, and the powerful antioxidant neohesperidin. It also has adenosine plus and caffeine to energise the skin and promote a more youthful look. It can be used day and night. It costs £29.95 here. So that’s just about brought you up to date with my Vichy experiences. Do let me know if you have any questions. I’m happy to help and if I don’t know the answer (I’m not an expert just a Vichy enthusiast) I’ll try to find out for you. Next postWeekday Wishlist – In the Pink! Thank you. I think it’s because we equate Vichy with skincare most but their foundation and concealer are all about coverage and protecting the skin so it’s a good fit. Definitely worth a try if you love Vichy. 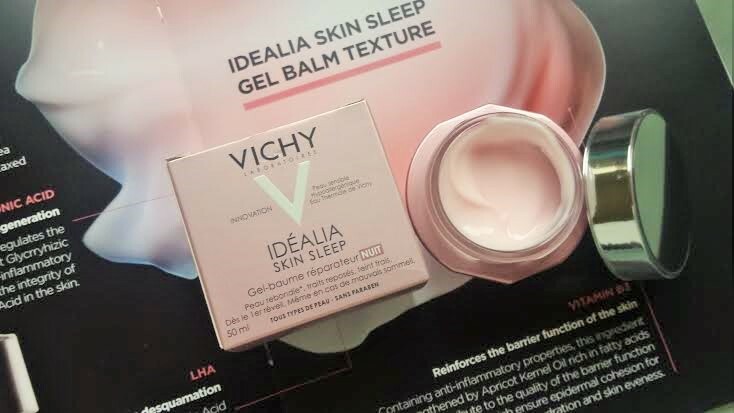 Idealia Skin Sleep Is very good rich and hydrating cream, and in the morning skin is not oily. 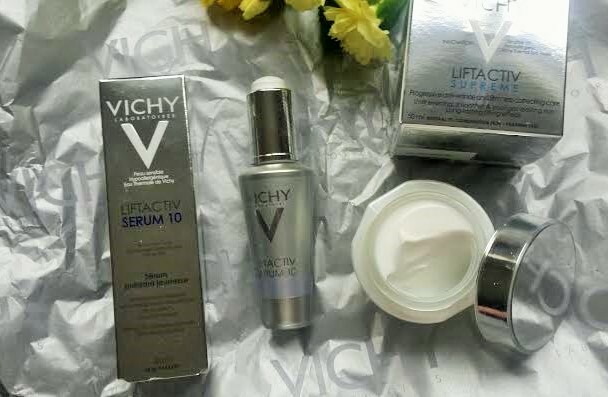 You don’t have a Vichy Space yet? What is a Vichy Space?